.Imagine what your life would be like in six month’s time, if you were able to successfully create the life you crave? 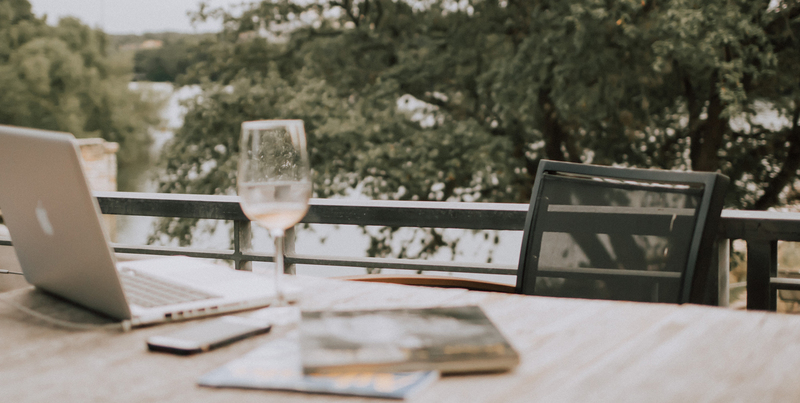 Would you be sitting on a terrace overlooking a lake, a river, the Champs de Elysee, the Thames, running your online business while you enjoyed the scenery? Or would you be working at your cottage? Or from your home office? Would you be sitting in a classroom listening to a lecturer speaking on a topic that absolutely fascinates you? What dream so you have? What are you craving for in your life? Six months. twenty-six weeks. Plenty of time for your life to transform. All you need is a dream, a strong desire to create your dream. and maybe a life coach/mentor to help you get there. This six-month Clarity Coaching and Mentoring Package designed to help anyone who dreams of making a major transformation in their life. You might not know exactly where to begin, or how to get there, but you have the desire and the focus to succeed. The Six-Month Clarity Coaching and Mentoring Package is designed to help you achieve your goal and create the life or business you crave. 1) Twenty-four weeks of one-on-one attention, assistance, and guidance that is focused on you and what you are creating. 2) Twenty-two 45-minute one-on-one Coaching/Mentoring Sessions. One-on-one coaching that focuses directly on you, assisting you, holding you accountable, and cheering you on is an incredibly powerful way to successfully create the life or business you desire. Drawing on several coaching certifications and years of experience helping people create the life they crave, I use a wide variety of coaching tools and techniques to help you successfully make changes or transformations in your life. These calls can be recorded if you would like. 4) Worksheets. These occasional worksheets and exercises will help you identify and focus on what you really want, will keep you motivated and focused between coaching sessions, and will provide you with inspired, actionable steps to follow. 5) Five Intuitive Tarot Readings. Tarot Readings are amazing tools that can help you dig deep into your desires, into what obstacles are challenging your ability to manifest your desires, and what actions you can take to overcome these challenges. Tarot Readings regularly provide insights and clarity that is both unexpected and spot-on! As a Certified Professional Intuitive who has completed hundreds of accurate Tarot Readings over the years, I’ve discovered how powerful Tarot can be for helping clients gain Clarity. By the end of this six-month package, you will be well on your way towards successfully making the major transformation you have been dreaming about. Plus you will have action steps, self-coaching techniques, worksheets., etc, that you can use to help you either successfully complete your transformation or maintain your momentum in order to make your life even better.